Image courtesy of Reflections of a Chronic Anthropologist. Wherever you go, there you are. I’ve considered this old adage quite a bit lately in my thoughts and conversations. Wherever I turn, I can’t get away from the brain. By this, I don’t just mean my own thoughts, but conversations about the brain and what it does and how it makes us do what we do and be who we are. More specifically, these “brain-centered” conversations often turn to mental health and questions about the role of brain function and chemistry in keeping us well. This flurry of mentally-focused activity is strange for me. I am not a brain scientist. I am not more than casually acquainted with mental illness. My son doesn’t even have ADHD. In fact, I spent the better part of the last decade chipping at the walls of the Cartesian divide between mental and physical health and, thus, the idea that there is mental illness distinct from physical illness at all. As part of my recent doctoral dissertation research, I explicitly blur those lines, arguing that what we do and what we think and how we feel are fundamentally intertwined. Despite the recent WHO definition, which outlines this holistic view of health, it is clear from everyday living that our medical community, and our popular culture, are not giving up “mental health” discussions anytime soon. From ADHD to autism to depression to PTSD, it is difficult not to become involved in mental health debates. Lately, I feel compelled to leap into these discussions, ignoring that I have almost no personal or professional experience with any of these disorders. Complaints fly that our culture is over-diagnosing, over-labeling, over-medicating, under-counseling, ignoring potential causation and generally freaking out. We are caught up in a multi-faceted mental crisis. This is more than a neurological crisis. It is a cultural crisis. And I am qualified to discuss a cultural crisis. One recent conversation with a therapist friend revealed her dismay at a parent eager to solidify an autism diagnosis despite evidence that the child was behaving “normally” in order for her child to be eligible for government-funded private school vouchers. These mental health labels come with such weight, and stay with children into their adult lives, that it seems common-sense to truly understand the reasons behind handing them out before we do so. Maybe we can all agree that it should not be strictly for financial benefit. I have developed a career around the idea that labels, in their most basic sense, are bad. Humans are far too complex to be grouped by color or culture or behavior alone- let alone by “disorder.” How could that possibly be helpful? But, it seems that, most days, I am wrong. The frequency with which casual acquaintances mention their “disorders” as an explanation for behaviors is both shocking and comforting. It is shocking because of the ease at which these labels are owned, discussed and, importantly, medicated. It is comforting in that so many people no longer feel the need to hide their suffering and are willing to discuss it openly and work through it in public. Some of this comfort, both theirs and mine, stems from the recent movement to terminology that reflects a vision of brains that are “different” rather than “broken”- neuro-diversity rather than neurological disorders. 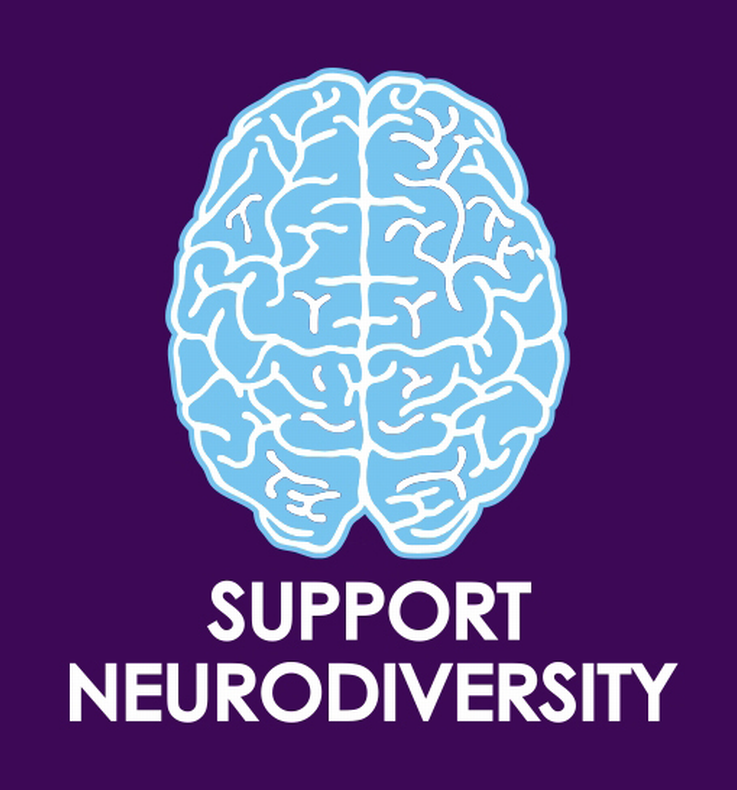 Despite my confliction about this whole neurological discussion, my reaction to discussion framed in terms of neuro-diversity are overwhelmingly positive. This idea that we can have difference without some kind of needing to “fix” or make something conform to a certain standard jives with my anthropological perspective. As anthropologists we see different cultures as “unique manifestations of the human spirit” (to paraphrase popular anthropologist Wade Davis), so seeing different ways of manifesting different neural processes as unique visions of the world has implications for inclusion and acceptance- both generally positive human endeavors. Instead of ostracizing folks with different neural processes and/or medicating them back to “normalcy,” we could learn to incorporate diverse learning styles, understand extreme moods and build healthier daily routines. We could take a walk together- a prescription currently being handed out by one of the leading mental health doctors in the UK. I am not a doctor (well I am a doctor but not THAT kind of doctor). I am not a specialist. I have no personal experience. This discussion is not intended to diminish the suffering and expertise of the people and friends and families who are specialists in the area of mental health. What I do know is that, every day, I see new research about how environment matters to the health of our bodies. It matters in our everyday routines and daily health, but it also matters in the long term. More and more research shows that we, through our environmental interactions, have the power to change our bodies at the genetic level. Genes, neural pathways, our health- all dependent on what we think and what we do. Science is giving us the control back- I wonder if we will take it. Kristina Baines is an ecological/medical anthropologist with a strong interest in corn, how what we do in our environment makes us well, and using innovative methods to make anthropology relevant and accessible to a wide audience. You can find out more about how these interests translate into projects and pursuits at www.coolanthropology.com or by contacting her at yesbaines@gmail.com. I knew a woman who decided to treat her autistic son as people of earlier times might have - as a potentially great thinker or inventor. I don't have any experience -- either academically or personally -- with neurological disorders, so I don't have a concrete opinion on this approach. There is so much going on in terms of what influences our brain, from mother's diet, medications, drugs consumed, and more during pregnancy and breast feeding, to early environmental factors, early diet, and social influences, to name but a few that we know of. I tend to fall on the side of the discussion that feels we are overmedicating our children (along with everyone else! ), and so this article is a good introduction to issues and approaches we need to consider in reducing reliance on the pharmaceutical companies. Too often, that reliance is a life-long thing, and we're foolish to think that economics are not at play here. We need to regain control, and I thank the author for contributing her thoughts to the conversation. this was me, but google only lets me publish through our faculty blog. reposted below! personally, i balk at putting mental disorders in the neuro-diversity category, because they often come with a terrible baggage of pain, and it's hard to think of pain as simple diversity and something to be celebrated. it is true that some people who are considered "mentally ill" are people who think differently and often brilliantly (see schizophrenic law professor and psychoanalyst elyn saks), but it's also true that they often experience states of pain so deep that treatment seems the right and obvious way to go. i think maybe we can think of neuro-diversity as a viable way of viewing typically pathologized mental states, while keeping in mind that, when pain ensues, attention and care are in order. certainly celebrate is the wrong word to use. 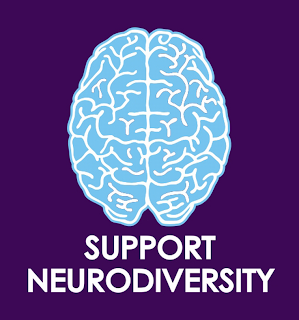 neurodiversity is a great premise or filter, though, from which to explore mental health concerns. to think that each individual is on their own unique path towards their own definition of success is more than just a silver-lining-perspective.. this is an important critique on normalcy. it seems so obvious, but it looks to me as though most families/patients/healers/scientists/researchers need reminding of their ecological existence, and power. Thank you for this article Kristina. The idea that people can change themselves at a DNA level based on their environment asks us to look at culture. I think this could have been a series of articles, explaining some of the anthropological analysis of psychology and mental health so people can have a deeper understanding. It’s tough for the family to look after a person having severe mental health issues, so they must to provide healthy, hygienic, and a happy environment, apart from offering balanced and nourishing diet, as per the instructions of the doctor. It will help increasing vital energy, and help overcoming the feeling of sickness and depression.